Scandinavian – Page 2 – Flux. 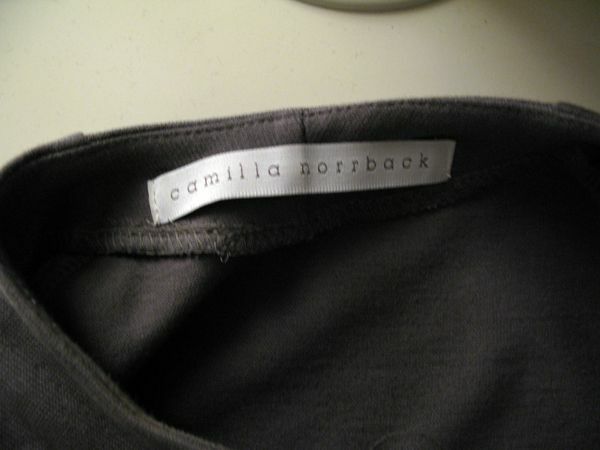 Being a huge fan of Scandinavian fashion, meeting the Finnish born fashion designer Camilla Norrback while in Sweden, had a great importance to me. Her brand has been a pioneer in “ecoloxury“, a term that has been widely used but in fact, originated from her. In Camilla’s words “ecoluxury is modern luxury with an ecological point of view”; most of her clothes are produced from environmentally friendly, renewable raw materials. 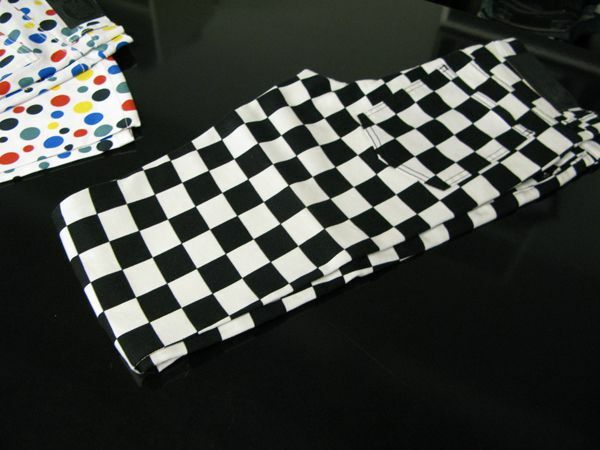 A good example were buttery soft leggings which I would have never guessed being made of recycled PET bottles. How can something so rough and ugly turn into something so comfortable and pretty? While visiting her boutique, Camilla promised us a -25% discount from her collection. I obviously couldn’t leave empty handed, and this Art deco/80’s inspired dress was mine to keep. According to Camilla, her clothes make the wearer feel both beautiful and proud which with, I have to agree. I wore the dress to Saturday night’s indie club feeling both beautiful and proud; not only had I bought an amazing dress but it was also a very wise purchase. 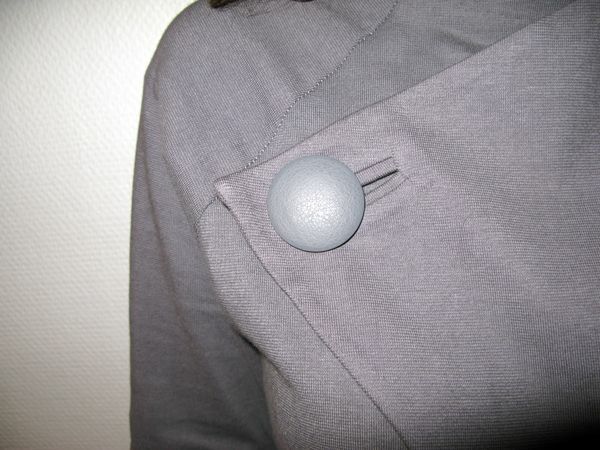 The button of the dress is made from the finest quality leather and in a Swedish factory that also manufactures the leather straps of Louis Vuitton bags. How cool is that? Last week seven other Finnish bloggers and I were chosen to participate in a two day fashion oriented trip to Stockholm. Our journey began on Tuesday as we stepped onto the boat in Helsinki. On board we were pampered with Elizabeth Arden goodie bags, luxury cabins, and fine dining. MTV3, a commercial TV channel here in Finland,had hired a photographer and journalist to take outfit pics and cover our story whilst on the boat. Edit: We also had a competition where we had to integrate something from the boat’s shop into our outfits. If you are Finnish or living in Finland (or just want to support me), you can vote for my outfit here and enter to win a trip to Stockholm! On Wednesday morning we stepped out of the boat and headed to our hotel which was located in the heart of Stockholm at Hötorget. Our introduction to the tour for the morning was at a shopping mall called PUB. The mall is one of the most trendy shopping malls in Stockholm and carries brands such as Acne, Dagmar, Pour, Peter Jensen, Raf by Raf Simons and April 77. Goodie bags and a lunch at the mall had concluded our tour at PUB. After enjoying a delicious lunch at the PUB’s cafeteria, we headed into “the Grocery” showroom which is a home to brands such as Cheap Monday, Sunday Sun and MTWTFSS. The designer duo were introduced to us and they gave us a sneak peak to the spring/summer 09 collections accompanied with champagne and caviar. Honey Junkie and I absolutely fell in love with the zipper skirts from the MTWTFSS spring collection. The designer duo and denim fashion for spring. 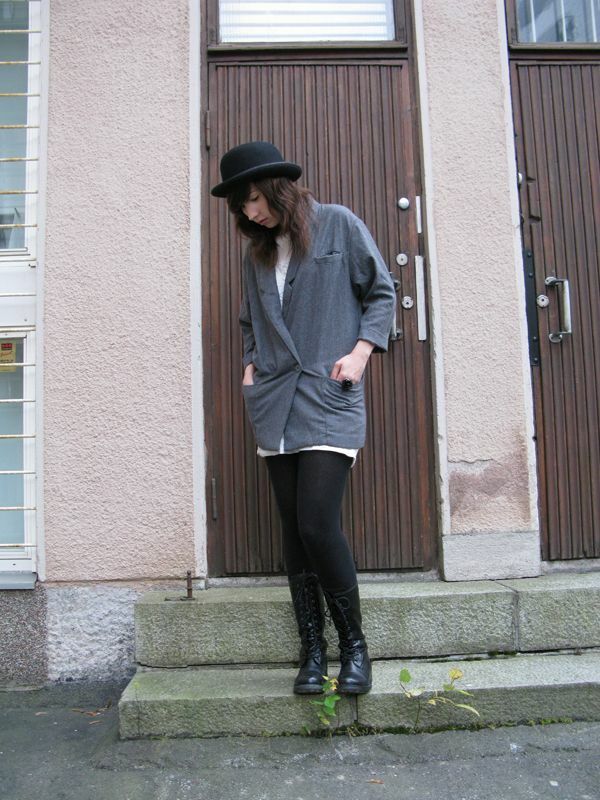 From the Grocery we headed to Norrbacksgatan where we met the Finnish Swedish designer Camilla Norrback. A -25% special discount for our crew made it impossible for me to resist buying an amazing dress from her Fall/Winter 08/09 Collection (more about Camilla and the dress later this week). After visiting the boutique more shopping was in dire need so we went back to the city and shopped for an hour at Weekday. Our evening program consisted of a visit to a Japanese spa called Yasuragi. The pools, looking lovely and ever so tempting made it difficult to my hesitation of not jumping in, considering I am allergic to chlorine. So instead Ranna, Honey Junkie and myself were treated with a strange relaxing color therapy. After the treatment the three of us rejoined the group at the sushi bar and prepared ourselves for a Japanese style hot stove dinner. As we had only visited a couple of stores during the tour, Thursday was dedicated to shopping and shopping only. At a store called Grandpa the Finnish TV channel in Sweden made a news story about our visit and I was targeted with some heavy questions about the weakened global economy’s effect on my personal spending. ld use both for work and pleasure and I believe my plan was a success. My final shoppping purchases for the day included sweaters, blazers and tees in colors black, white and grey. The trip was truly amazing, although extremely busy. I have been to Stockholm several times before but it was interesting to visit it again solely from a blogger’s perspective. The best part of the trip was to get more familiar with the other bloggers and discuss about the subject we all love, fashion. I end my report with an outfit that I wore today. 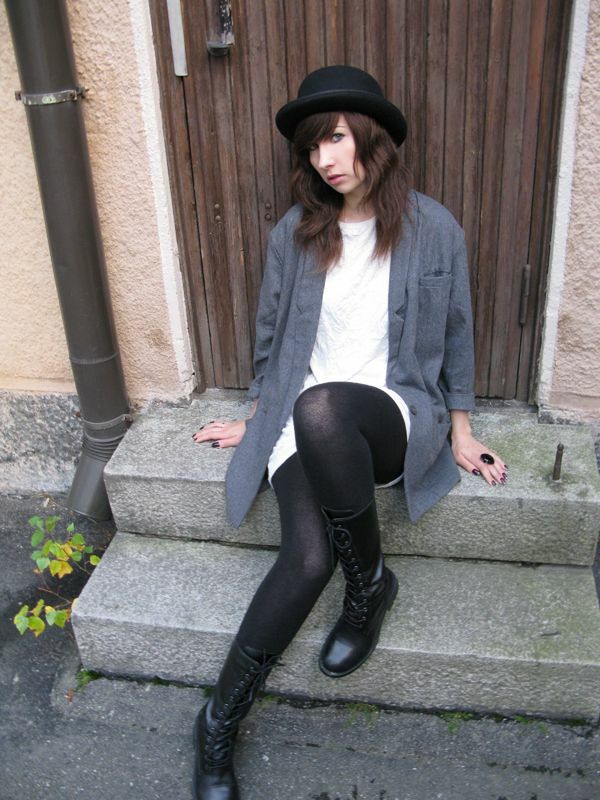 On my shopping list was a long blazer since I have been drooling over this one on Stockholm Streetstyle for ages. 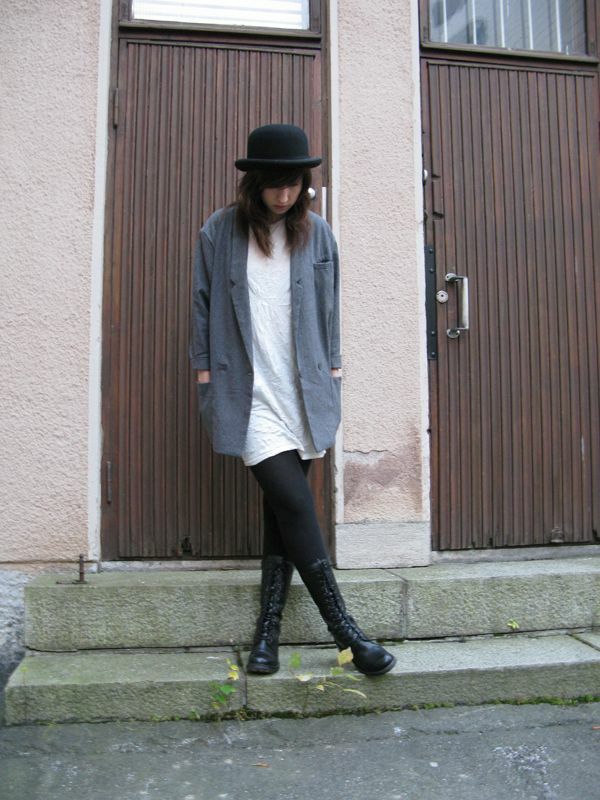 The Swedes are so unbelievably stylish with minimal effort and everytime I visit Stockholm I’m totally sucked into their style. After having a two day injection of their Swedism, I can say that I have “Swedified” myself enough for this winter. Don’t you think? The past days have been great, even though it’s cold the sun has been shining and the leaves are all red, orange and yellow. 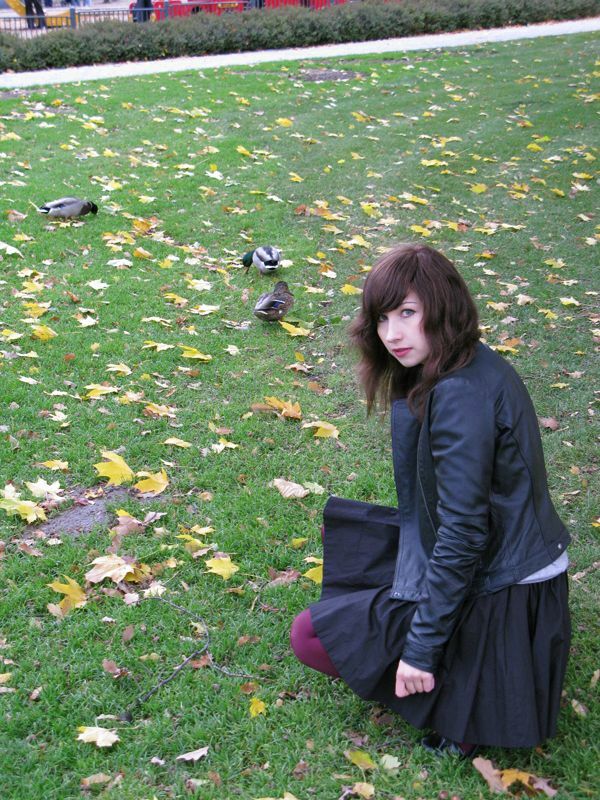 The parks in this city look so beautiful, so my boyfriend and I just had to make a little photo shoot in a park that is right around the corner.Although I’m not a student anymore, this outfit is sort of my own interpretation of a back to school look. Similar white button shirt underneath a grey sweater look was spotted at the Marc Jacobs F/W08 show. I instantly fell in love with this style; it’s a bit preppy yet relaxed. My sweater is by Peter Jensen, a great London based designer and recogniseable from the cute bunny logo. I got this sweater from Stockholm in the summer but since it is a wool blend, I have been waiting for colder fall days to come. Well, what I awaited, I certainly got. About 30 stylish ladies and few fashionable guys entered the Fida second hand outlet in Helsinki for some good food, drinks and lots of digging through old clothes. 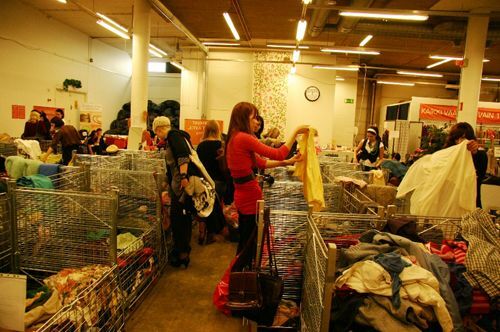 The second hand clothes were organized by a kilogram price and separated into 0.20, 0.50 and 1€/kg piles. 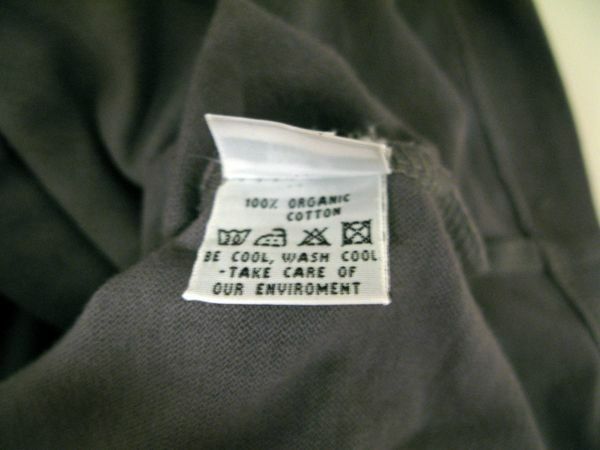 The minimum amount you had to buy in order to get the discount was 10 kilograms. So I ended up bringing 10.2 kg of clothing back to home. I made some truly amazing finds such as a YSL blazer and the cutest lace gloves which I noticed to create quite a lot of jealousy among the other pile diggers. I found them first!